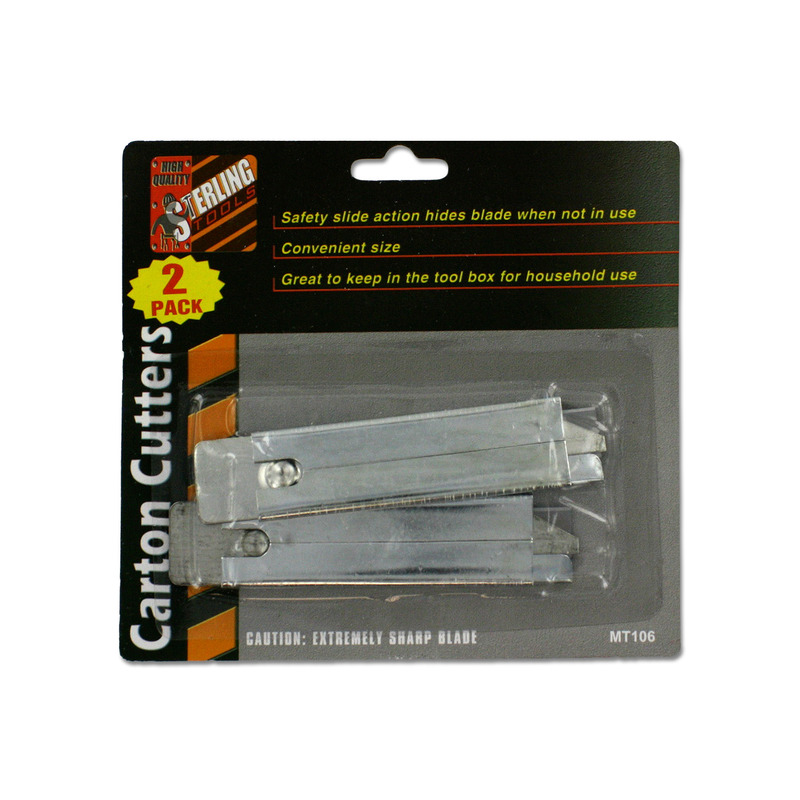 Great for using on the go, this two pack of Pocket-Size Carton Cutters safely hides blades when they are not in use. The case measures approximately 3.5" long and 1" wide. The blade is approximately 1/2" long. Comes packaged in a blister pack.